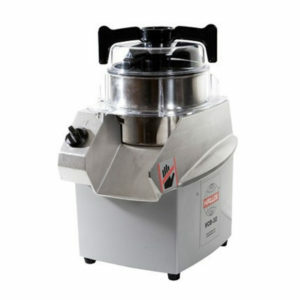 The VCM-41 features a 4 litre stainless steel bowl and is ideal for mixing, chopping, vitamizing, blending, etc. The scraper system and lid are of polysulfone construction making them safe for washing in the dishwasher without cracking or crazing. 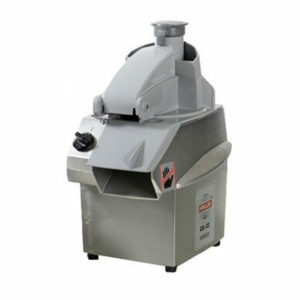 HALLDE’s VCM is one of the industry’s primary vertical cutters. 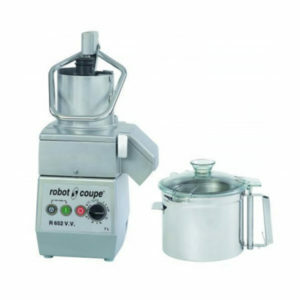 Its unique functions for quick preparation and its robust quality make it ideal for all professional kitchens from private restaurants to public sector catering operations. 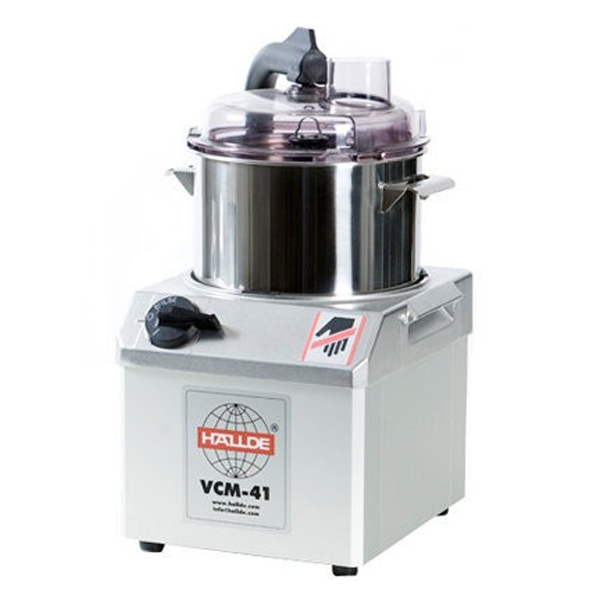 The VCM-41 has one speed; 1,500 rpm. The VCM also has a direct action pulse function. 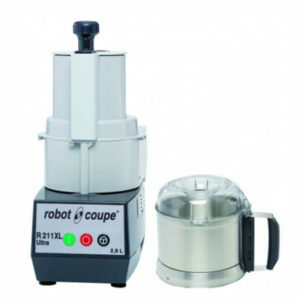 This pulse function provides direct access to 1,500 rpm without any irritating time delays.